Play it at Gamescom 2017 this week. 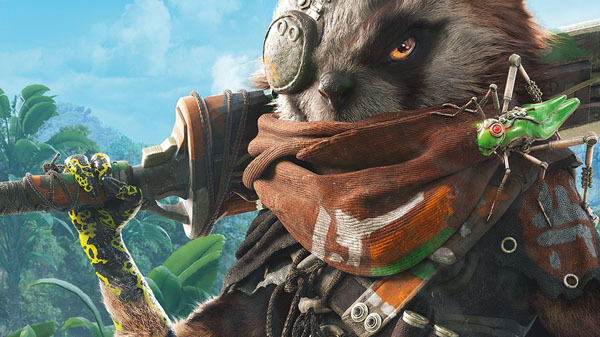 Following a leak this weekend, THQ Nordic and new developer Experiment 101 have officially announced Biomutant, a post-apocalyptic open-world action RPG, for PlayStation 4, Xbox One, and PC. It will launch in 2018. A collector’s edition will be available for $119 and include a copy of the game, official soundtrack, figurine, A1 artwork on fabric, and premium box. A New Take on Third-Person Combat: The martial arts style combat system allows you maximum freedom of movement and agility while mixing shooting, melee and powers from your mutations. Evolve Your Gameplay: You’ll be able to recode your genetic structure to change the way you look and play. Next Level Crafting: Mix and match parts to create your own unique single- or double-handed slash, crush and pierce melee weapons. Biomutant will be playable at Gamescom 2017 in Cologne, Germany this week. Watch the announcement trailer and a gameplay snippet below. View the first screenshots at the gallery. Visit the official website here.